The Patriots have replaced one offensive weapon with another. 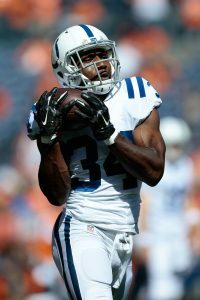 NESN.com’s Doug Kyed reports that the team has signed wideout Damoun Patterson to the practice squad. The team released running back Josh Ferguson to make space on the roster. Ferguson is the more notable of the two players, as the former undrafted free agent out of Illinois has 26 career games under his belt. The 25-year-old’s best season came in 2016, when he hauled in 20 receptions for 136 yards. He also added another 15 carries for 20 yards. Ferguson joined the Patriots’ practice squad earlier this week. He’d have had an uphill battle to join the 53-man roster, but he surely had a shot considering the Patriots injured running backs corps. Jeremy Hill and Rex Burkhead are currently sitting on the injured reserve, and Sony Michel is hoping to return this weekend after a two-week layoff. Otherwise, the team has been relying on a combination of James White, wideout Cordarrelle Patterson, and Kenjon Barner. Patterson, an undrafted rookie out of Youngstown State, has spent time with both the Steelers and Buccaneers this season. He had nine receptions for 112 yards with Pittsburgh during the preseason. It’s likely that the 24-year-old won’t be promoted to the active roster, as each of the Patriots’ six healthy wideouts have a role either on offense or special teams.